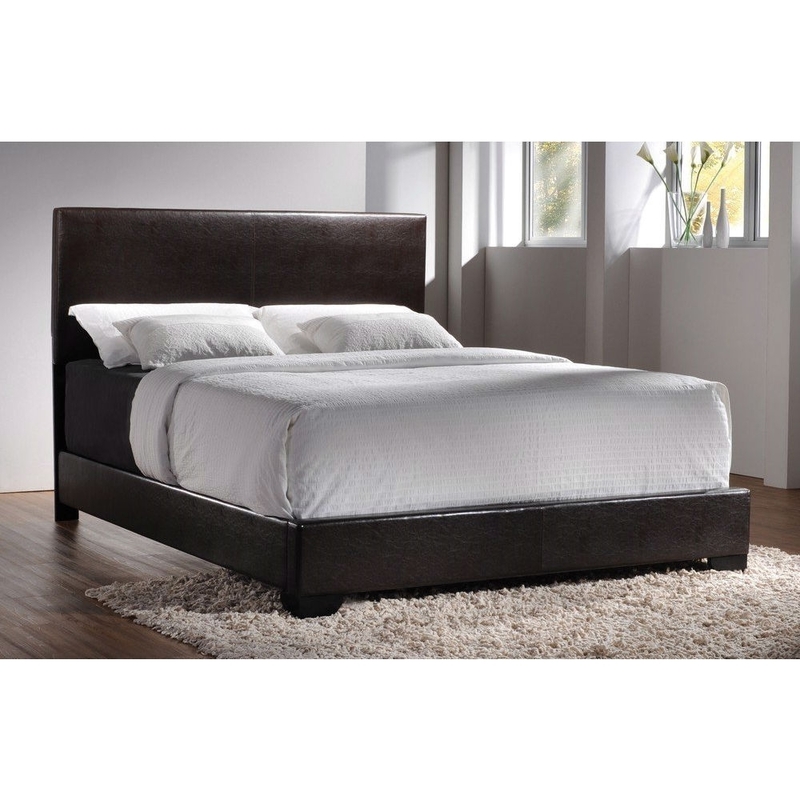 Add this Queen size Dark Brown Faux Leather Upholstered Bed with Headboard to your master bedroom for a one-of-a-kind contemporary style that will transform your space. This sleek bed features a high straight headboard and low profile footboard style frame, with exposed tapered feet for support. Dark brown faux leather upholstered headboard for a luxurious look that you will love. This queen upholstered bed is just the thing to complete your stylish master bedroom ensemble. Box spring required.